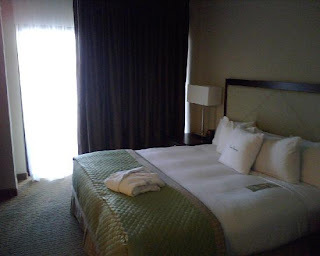 I recently stayed at the Doubletree Suites Hotel in Tampa Florida for 1 night on business. The hotel is nicely maintained although still undergoing some renovations in the gym area. The rooms are large and very comfortable, they look as if they had been recently renovated. There is a large living room and bedroom. 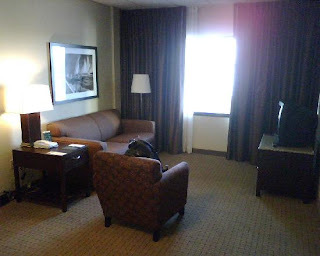 The room I had was a patio room and it was nice to be right by the water. The bed is very comfortable and the climate control worked well. Once the gym has been updated it will be very nice, they already have a nice pool, whirlpool and sauna. I would definitely return to this hotel next time I am in Tampa.